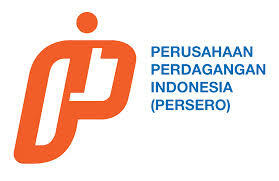 PT Perusahaan Perdagangan Indonesia (Persero) - PT PPI yang dikenal juga sebagai "ITC" singkatan dari "Indonesia Trading Company" merupakan satu-satunya BUMN trading company di Indonesia. PT PPI bergerak di perdagangan umum meliputi ekspor, impor, dan distribusi yang merupakan merger dari tiga BUMN Niaga yaitu PT. Tjipta Niaga (Persero), PT. Dharma Niaga (Persero) dan PT. Pantja Niaga (Persero) yang berlaku efektif sejak tanggal 31 Maret tahun 2003 berdasarkan Peraturan Pemerintah Republik Indonesia No. 22 tahun 2003. Saat ini, PT PPI didukung oleh 34 kantor cabang yang tersebar di seluruh Indonesia dan terletak di kota-kota besar atau ibukota propinsi. Setiap cabang didukung oleh staf profesional, gudang dan kendaraan transportasi. -Candidate must possess at least Bachelors Degree in Engineering (Mechanical), Protective Services, Management, Law or equivalent. -At least 5 Year(s) of working experience in the related field is required for this position. -Has K3 Certificate Will Be An Advantage. -Capable In Handling All Fire & Safety Equipment Of Building. -Preferably Manager/Assistant Manager specialized in Security/Armed Forces/Protective Services Or Equivalent. -Willing To Be Placed Troughout Indonesia. -Candidate must possess at least Bachelors Degree in Engineering (Civil), Engineering (Mechanical), Architecture or equivalent, minimum GPA 3.0 From Reputable University. -Required Skill(s): Building and Facilities Management, Especially Office Building, Microsoft Office, Unified Communications, Negotiation, Presentation. -Having Good Analytical and Problem Solving. -Target Oriented and Ready To Work Under Pressure. -Strong Leadership, organizational and planning skills. -Excellent supervisory and team building skills. -Certification in facility management is the advantage. -Preferably Manager/Assistant Manager specialized in Maintenance/Repair (Facilities & Machinery) or equivalent. -At least 3 Year(s) of working experience in risk management. -Having Knowladge of the trade. -Preferably Staff (non-management & non-supervisor) specialized in Finance - General/Cost Accounting or equivalent. -Candidate must possess at least Bachelors Degree in Engineering (Computer/Telecommunication) or equivalent. -Preferably Senior Staff specialized in IT/Computer - Network/System/Database Admin or equivalent. -Preferably Manager/Assistant Manager specialized in Information Technology or equivalent. -Candidate must possess at least a Bachelors Degree, Finance/Accountancy/Tax or equivalent. -Preferably Manager/Assistant Manager specialized in Accounting, Taxation and Verification equivalent. -Candidate must possess at least Bachelors Degree in Administration, Mass Comunication, Public Relation or equivalent. 0 Komentar untuk "Karir D3/S1 Mei 2017 PT Perusahaan Perdagangan Indonesia (Persero)"